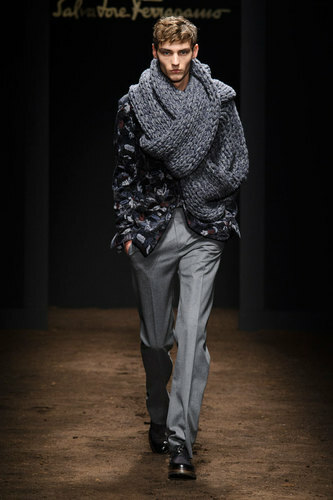 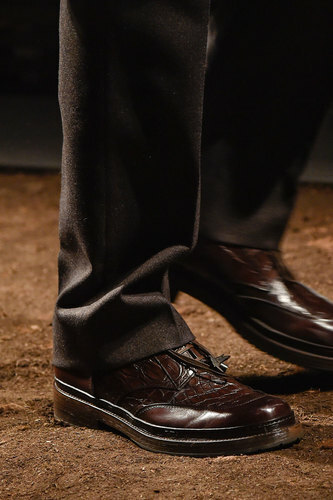 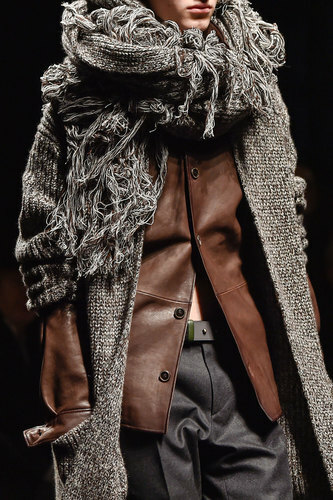 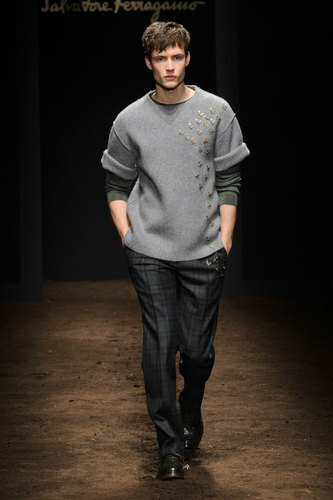 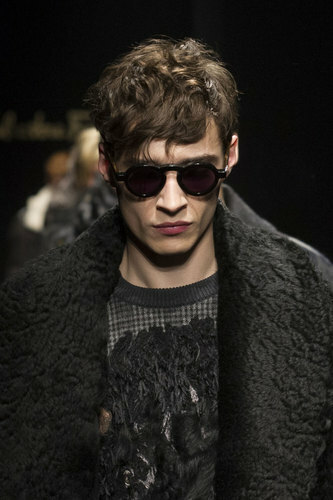 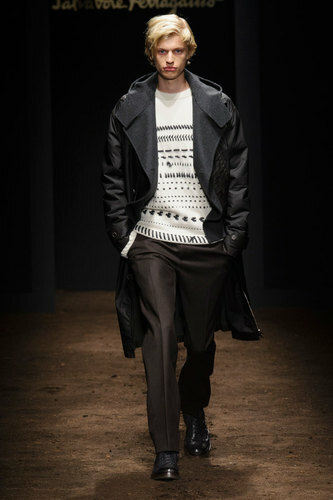 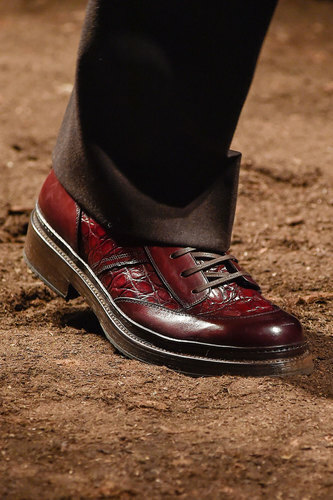 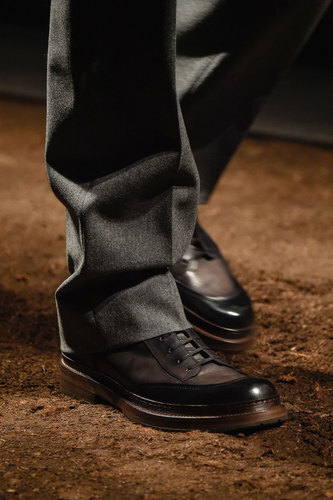 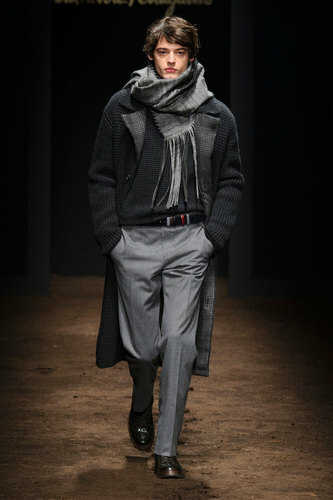 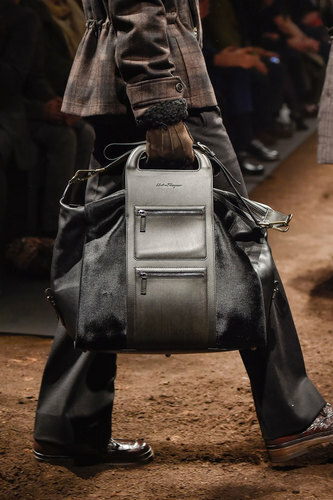 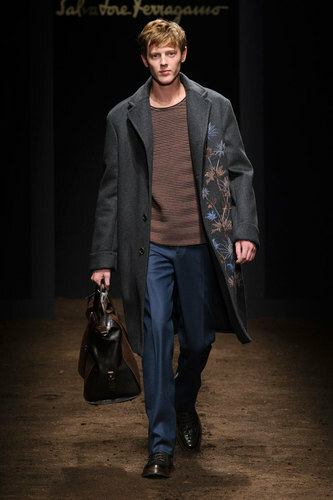 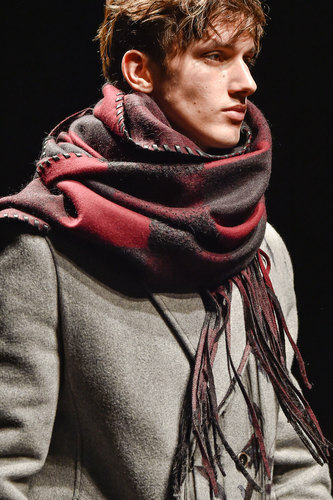 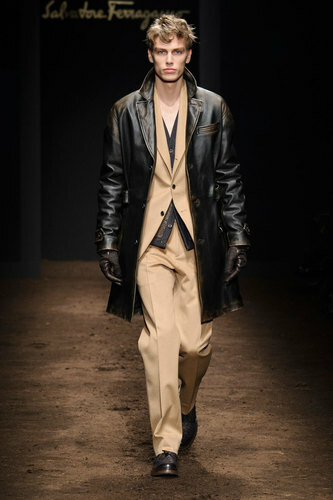 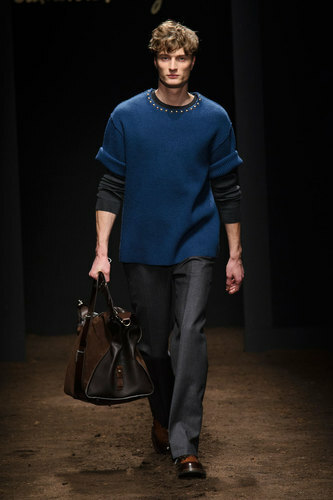 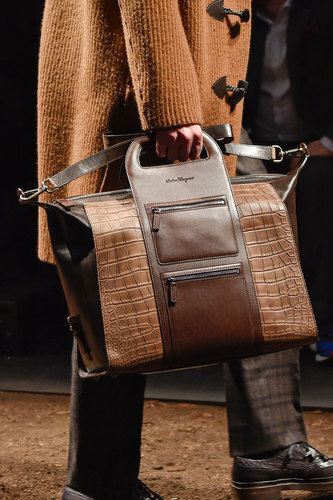 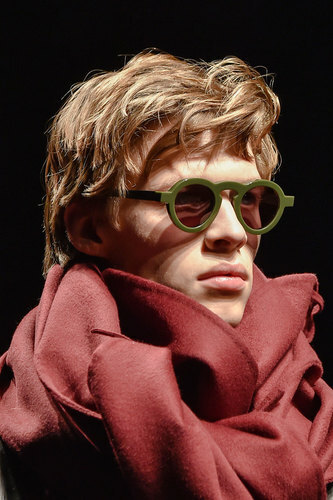 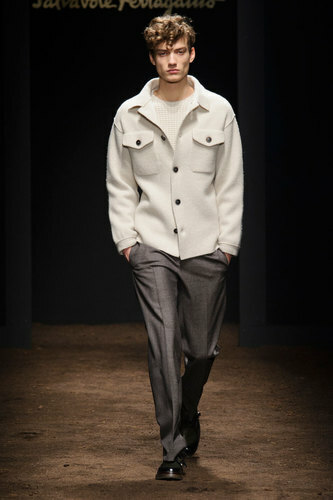 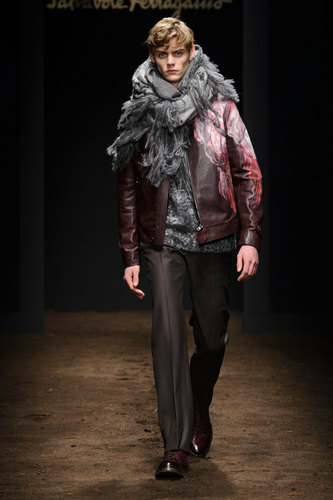 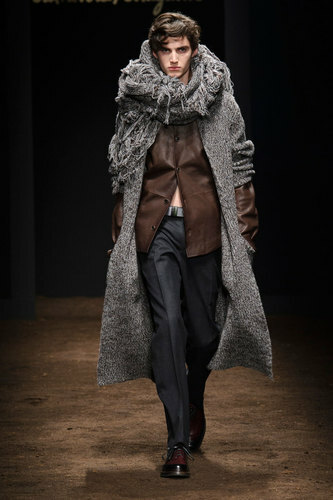 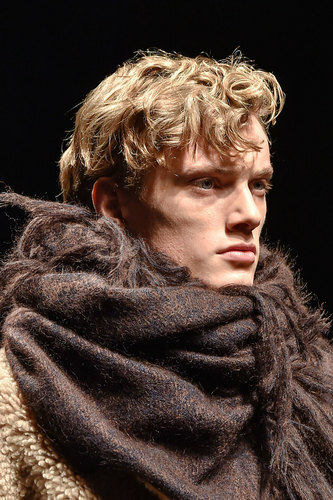 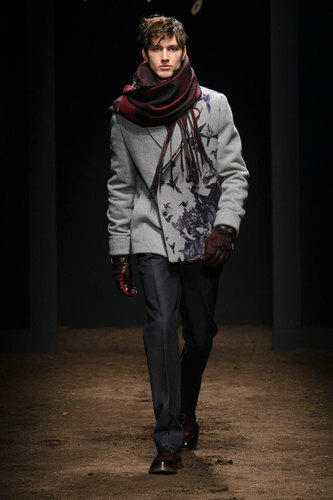 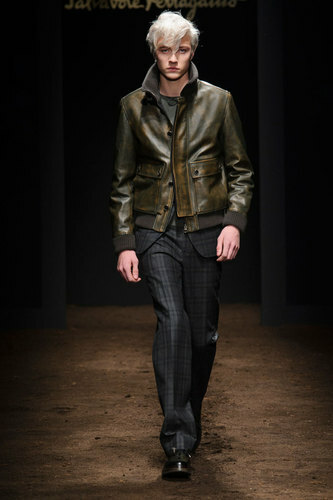 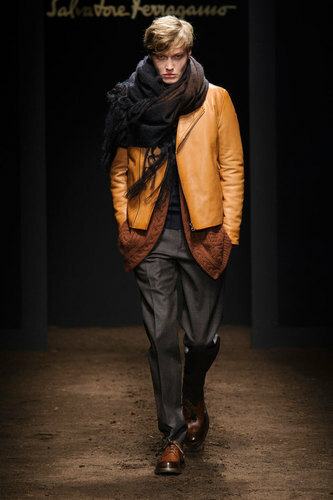 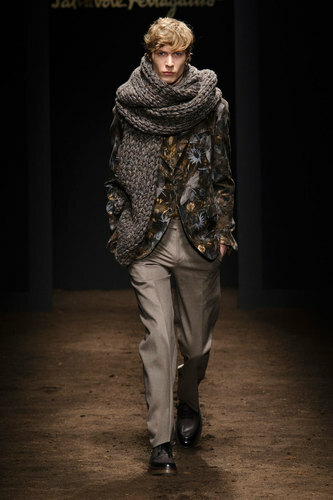 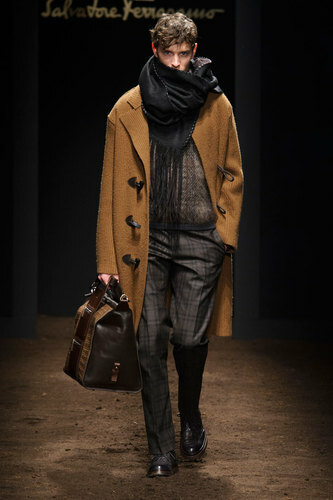 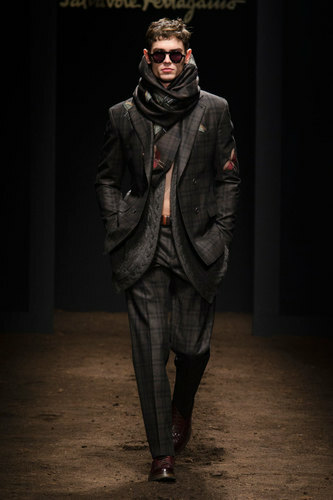 Salvatore Ferragamo Man Autumn-Winter 2015-16 – Salvatore Ferragamo’s collection is a triumph of autumn and winter tones on an earth covered runaway. 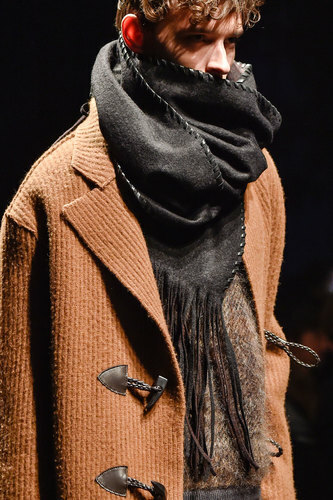 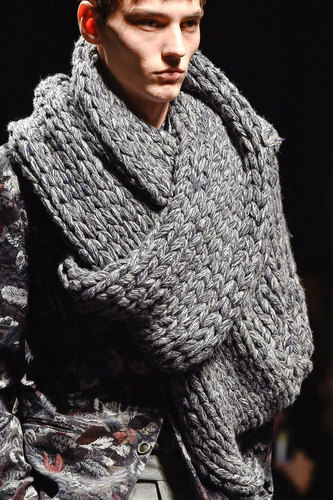 Chunky oversized scarfs catch our attention immediately: knitted or with long fringes they complete beautifully the poetic outfits. 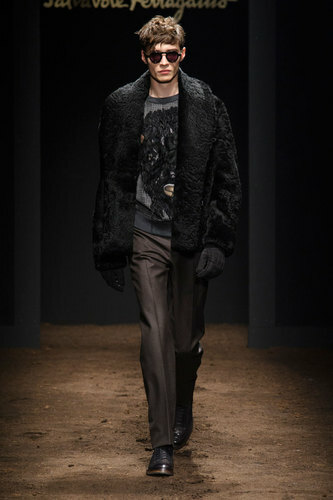 The designer, Massimiliano Giornetti, decides to introduce in this gentle guardrobe, a combination of wild animals: a giant buffalo snout or a funny baboon garnish coats sides. 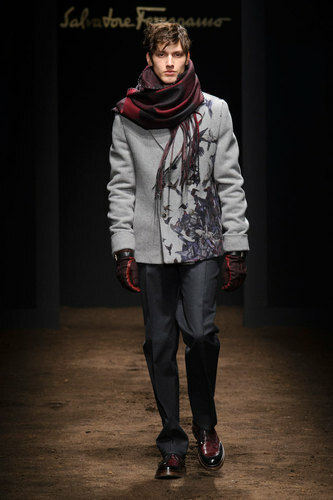 Owls with big yellow eyes or butterflies embroidered on the jackets. 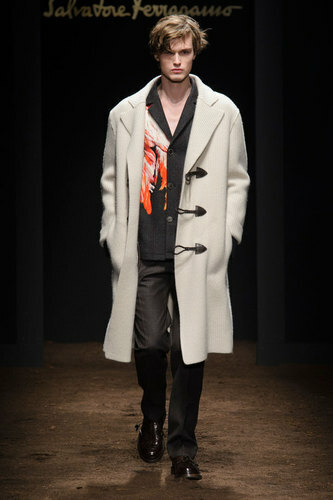 A romantic flock of birds into flight compose the decoration of a tailored long coat. 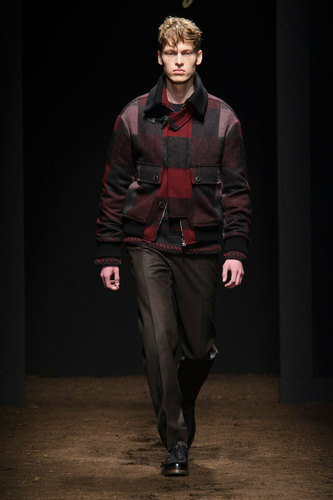 The buffalo plaid pattern is reconsidered in tones of brown or purple red. 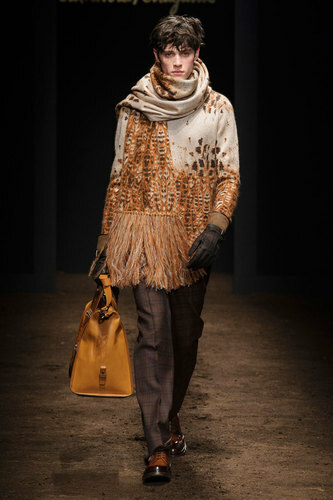 Bright ochre garments create a beautiful contrast with the dark brown background. 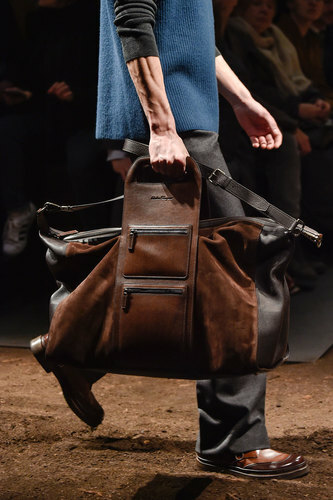 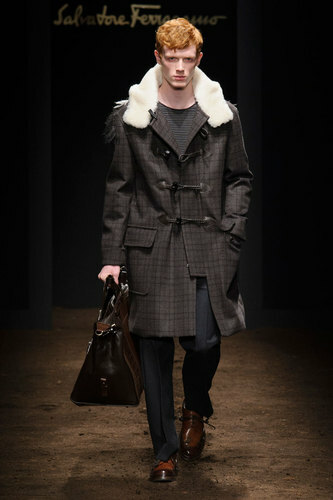 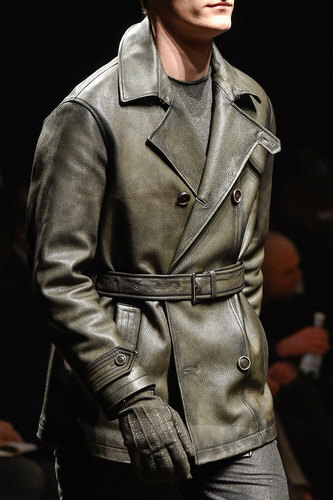 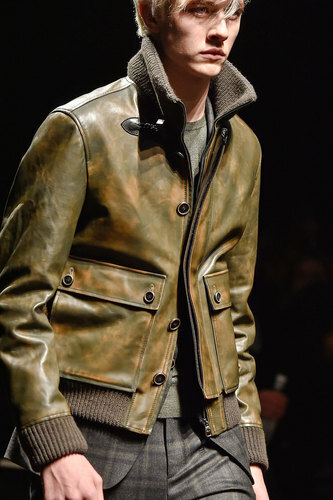 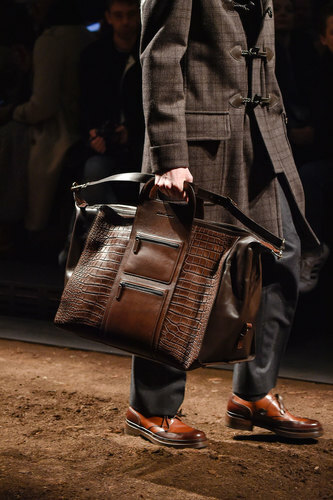 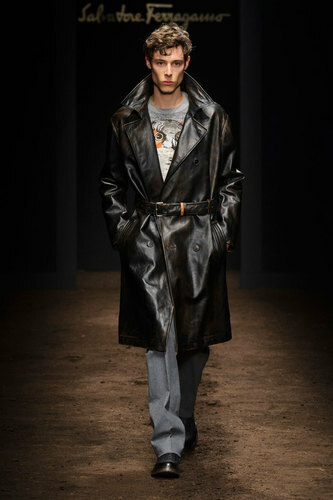 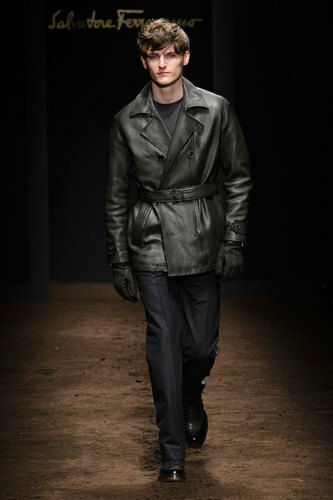 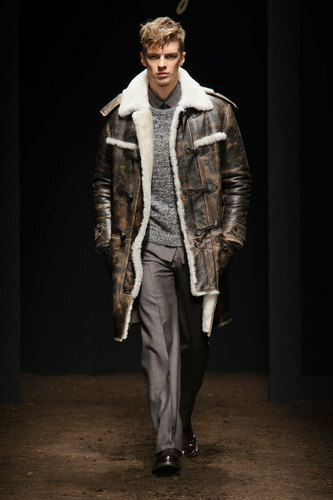 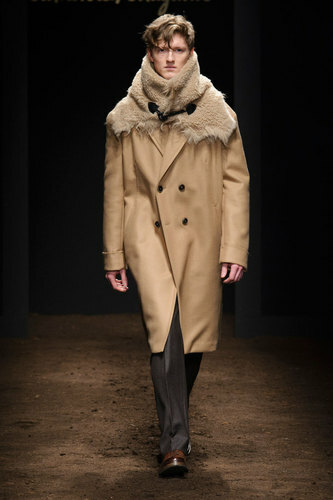 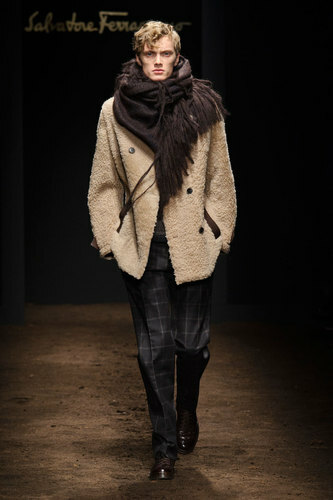 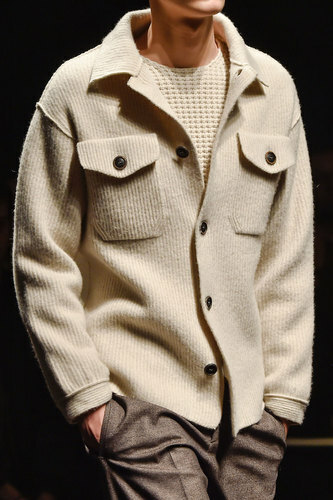 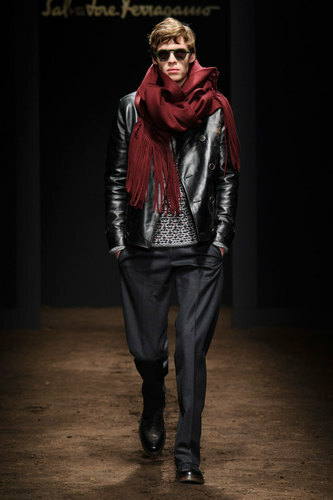 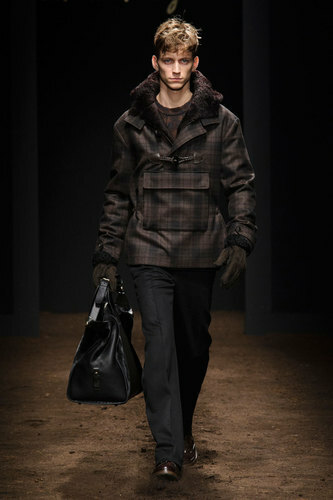 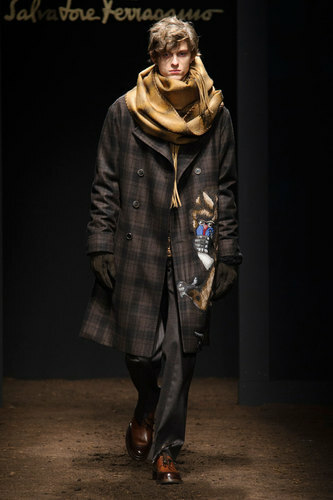 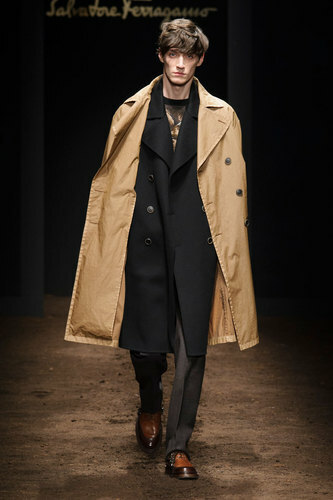 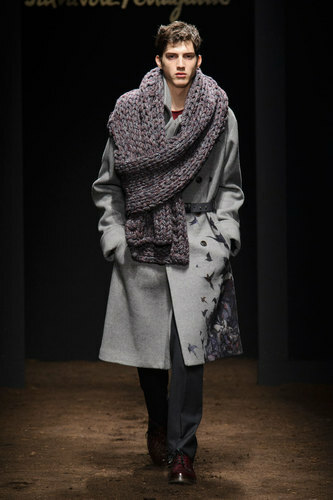 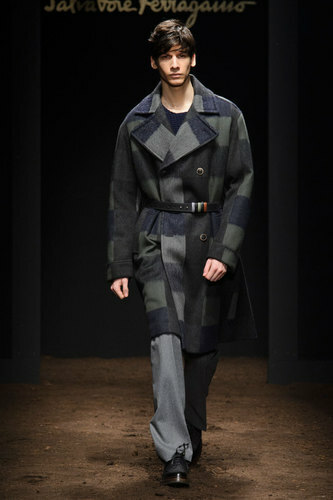 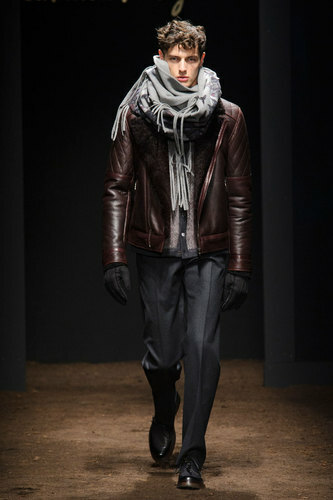 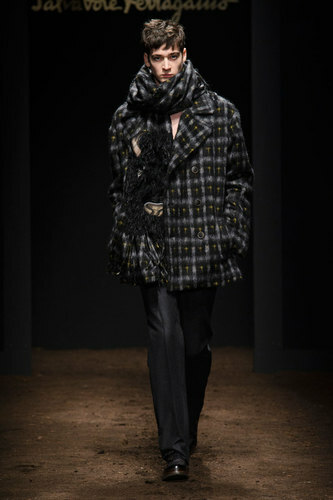 Fore the cold winter, Ferragamo develops many shades of double breasted knee length and duffel coats. 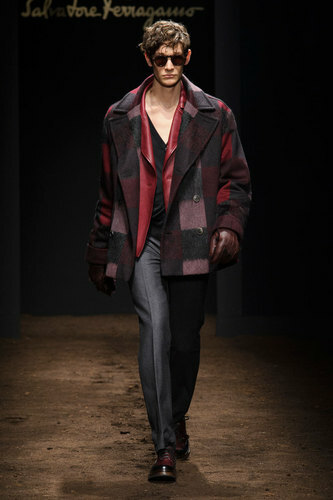 They are worn over knitwear casual outfits or sartorial suits.